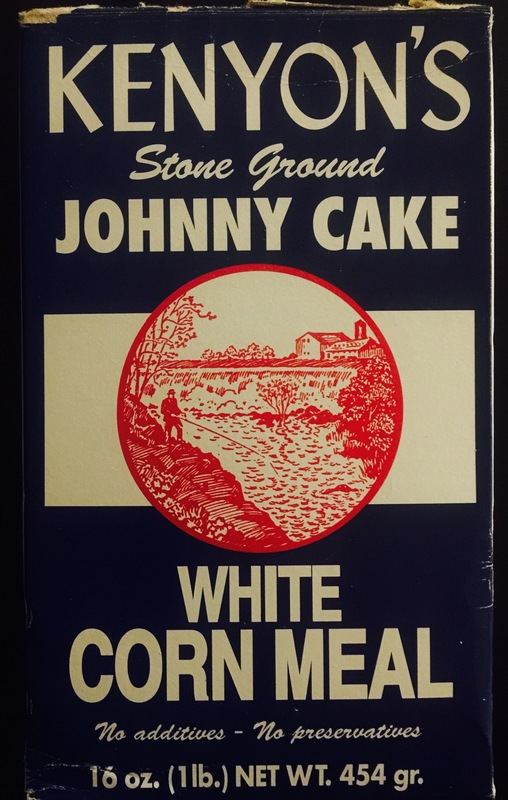 Every Rhode Island home needs to have a box of corn meal in case of Johnny Cake emergencies. If you’ve never had a Johnny Cake before, you’re missing out on a simple, delicious Rhode Island treat. But that’s a topic of another blog. The point is, I always keep a box of white corn meal in my pantry, and I used it to make the coating for my chicken. 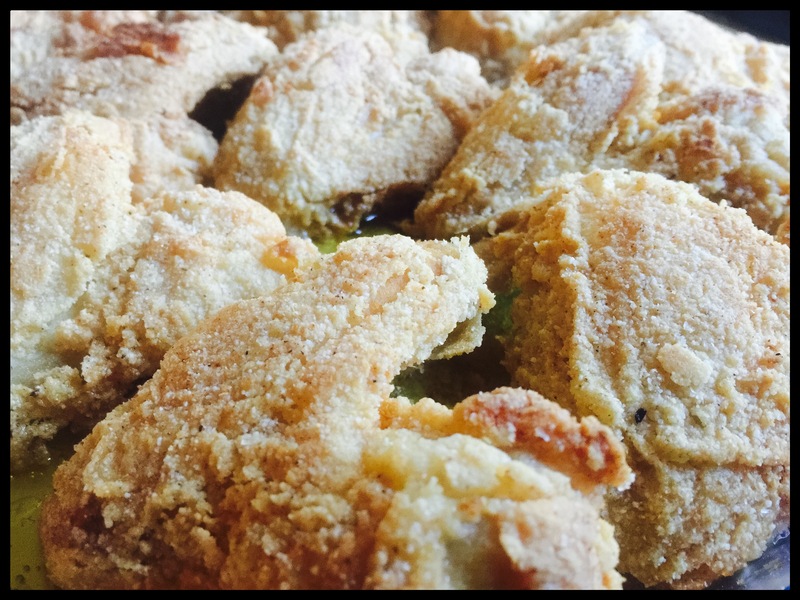 Corn meal is great, because it adds a wonderful crunch while keeping my recipe gluten-free, an important factor in my house. But even if you don’t have to be on a GF diet, corn meal adds great flavor. To keep the batter light, I add flour to the corn meal. Pour the buttermilk or whole milk into a large Ziploc bag. Add the hot sauce. Drop in the chicken wings, seal the bag, and let them soak in the mixture in the fridge for at least several hours…overnight is better. Place the bag in a bowl to prevent bag leakage accidents. In a separate bowl, combine the corn meal, flour, salt, pepper, garlic, onion, and paprika. Mix well. I like to use a combination of olive oil and pork lard when frying. Carefully take the wings out of the bag one by one, and drop them in the bowl with the cornmeal mix, coating the chicken well on all sides, then shaking off the excess. Place the chicken wings in the hot oil carefully. Cook the chicken in the oil on both sides for just a few minutes, until golden. You’re not trying to cook them all the way through. Place the chicken pieces on a foil-lined baking sheet. when you’ve fried all the chicken, place the baking sheet in the oven and cook until the wings are done, about 25 minutes.